3 Now let the heavens be joyful! This hymn is one of the oldest hymns still sung. Traditionally in the Greek church, the celebration of Christ's resurrection began at the stroke of midnight on Easter Sunday, with the lighting of candles, jubilant greetings, and the singing of this hymn. It was as if the Church could not contain her joy any longer than she had to after the sorrowful contemplation of sin and its consequent suffering through Lent and Holy Week. 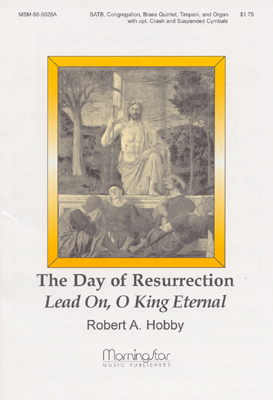 The text bubbles over with “joy that hath no end” in the victory that Jesus Christ won over sin and death through His resurrection. 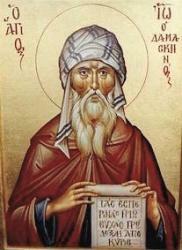 The eighth-century Greek Church Father, John of Damascus, is well-known for his long Greek hymns called “canons.” Each canon had nine parts called “odes,” and this hymn is the first ode from the canon for Easter, called the “Golden Canon” or “Queen of Canons.” John Mason Neale translated the three stanzas of this ode into English and published it in his Hymns of the Eastern Church in 1862. The standard text has three stanzas, though a few hymnals add a doxological stanza as a fourth. The first stanza refers to the Passover account in Exodus 15. In the second, we express a desire to see the resurrected Lord. The third stanza is a call to all creation to celebrate the risen Christ. This hymn is most often sung to LANCASHIRE, which was written in 1835 by Henry T. Smart for the 300th anniversary of the Reformation in England. It was originally printed in leaflets with Reginald Heber's text, “From Greenland's Icy Mountains,” for the October 4 celebration service in Blackburn, Lancashire. 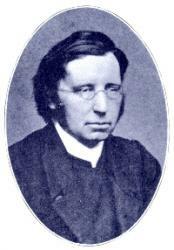 Many years later, in 1867, Smart published it in his Psalms and Hymns for Divine Worship in London. LANCASHIRE is a strong tune that somewhat resembles a march. 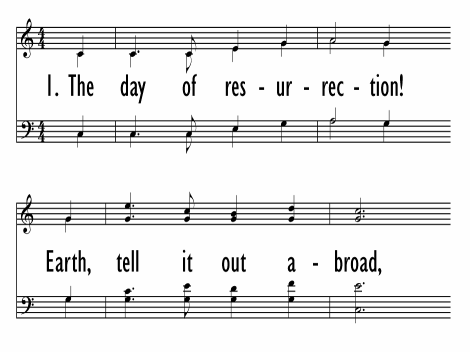 For a jubilant text such as this one, use bright tone colors in the accompaniment, such as trumpets or the brighter registers of the organ. Another well-known tune frequently used for this text is ELLACOMBE, an anonymous tune with German Roman Catholic origins. A tune with some resemblance to our modern one was published in 1784 in a chapel hymnal for the Duke of Württemberg. Various German hymnals published other variants during the early nineteenth century. The Vollständige Sammlung der gewöhnlichen Melodien zum Mainzer Gesangbuche, published in Mainz in 1833, has a version much closer to the modern one. This tune reached the English-speaking world through the 1868 appendix to Hymns Ancient and Modern, in an arrangement by W. H. Monk. ELLACOMBE is the name of a village in Devonshire, England, but any connection between the village and the tune is unknown. This tune is joyful and buoyant, and works well when sung in harmony. Though this splendid hymn could be sung any Sunday, it is best suited to Easter Sunday, especially as a prelude or opening hymn. As a prelude on Easter Sunday, try an organ and handbell arrangement, such as "Festival Prelude on LANCASHIRE," which combines that hymn tune and Eugène Gigout's "Grand Choeur Dialogué." For the opening hymn, the joy of the Resurrection almost demands full participation by the choir, congregation, and accompanying instruments. A grand setting of “The Day of Resurrection” to the tune LANCASHIRE is for choir and congregation, accompanied by organ, brass, and timpani, with optional cymbals. The fourth stanza is a majestic doxology. 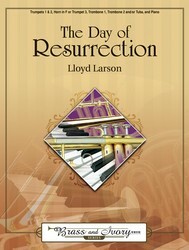 A concertato arrangement of ELLACOMBE for “The Day of Resurrection” features brass and organ accompaniment for choral and congregational singing.